Bedford Park has come alive! 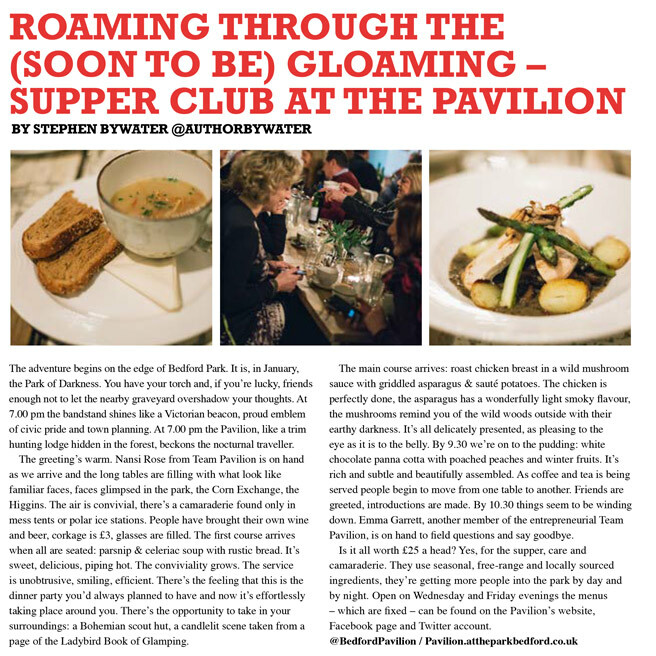 What was a sad, unloved pavilion building is now a thriving community hub serving delicious home-cooked meals using ingredients sourced locally and combined imaginatively. If by now you’re thirsting for a cup of tea or coffee, why not try the delightful Pavilion in Bedford Park where you can also indulge in a delicious lunch or maybe just a naughty cake. The unique blend of locally sourced produce and freshly cooked dishes, wonderful personal customer service and refreshing, remarkable environment provides Bedford with something worth shouting about.